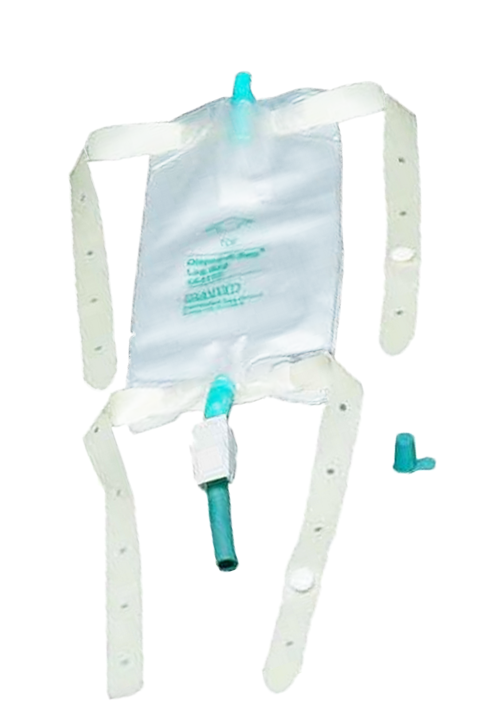 Bard Dispoz-A-Bag is a sterile 1 Piece Drainable Leg Bag. The bag may be connected to the Urocare Male Urinal Sheath or the Bard Uro Sheath, and most other Urinary Appliances. Lightweight, odor-proof, heavy gauge material. Anti-reflux valve reduces risk of backflow, which reduces danger of infection. The Bard Urinary Leg Bag is made from heavy duty vinyl for extended wear, odor containment and leak resistance. Each Bard Leg Bag contains an anti-reflux valve. Available with or without the Flip-Flo drainage valve which opens and closes with a simple flip. 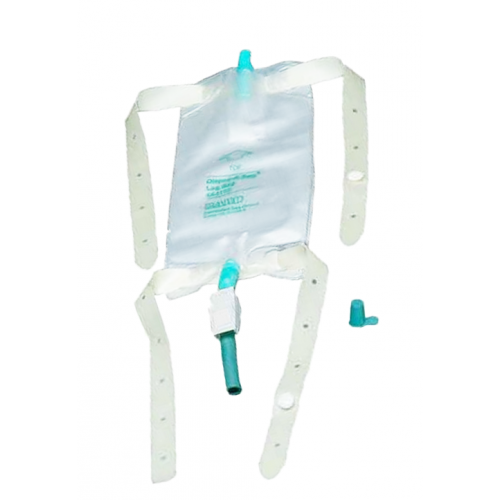 This drainable leg bag is reusable and sterile. Tubing is not included with any of the bags. Tubings are available on our website for these and other similar items; however. Hello, I was wondering if part# 150432 the box of 4 leg bags had the flip-flo valve . Hello Jay: Bard Medical's website states that item 150432 has a flip valve. What do I DO WITH THE DRAINAGE BAG WHEN i shower? Instructions that came with the item you ordered should have included plans on what should be done if you plan on wearing it while bathing. If that information isn't available, it's best to contact the manufacturer of the product for a clearer answer. Odorless, doesn't leak, has flutter valve, attaches well to rubber tubing. An Excellent Product, couldn't ask for more. Thought I would have to go back to ER for a extra bag. Didn't want to think about the price or if my insurance would cover. Nice to know this kind of medical equipment is sold to the public. Price was great, product is excellent. I just moved to a new town and wasn't able to find a local outlet for leg bags, so found your company on the internet. The Bard brand bags I purchased are a better quality then what I had previously gotten at my old location. The other brand had a tendency to split where the straps went thru the tie down holes. I will purchase the same from you again. WEasy to clean and keep sterile. The drain cap is hard to remove and keep the pee from spilling out. The ones that unscrew are better. The latex band caused a blister. Elastic cloth ones are safer. These are great bags. I like the flip flo valve, it has worked flawlessly and never drips or leaks. The end cap is a plus and stays on regardless of how active you are. The bag material seems to be a little thicker than others yet they are soft and comfortable to wear. The Bard products seem to be of higher quality overall and they are the only brand that I use. I highly recommend them.